The February 20th SGS meeting will feature a presentation by Kevin Mittge, who will share information on how to best access and utilize resources at the Library of Congress (LOC). The LOC has one of the world’s premier genealogy collections – with 38 million cataloged books, manuscripts and other print materials in 470 languages including more than 50,000 compiled family histories and over 100,000 US local histories. The library also collects local histories from around the world, with strong collections for Western Europe, especially the British Isles, Ireland and Germany. The SGS members’ meeting will follow the presentation. President Mike Allen shares an interesting link to immigration restrictions, . . . or the lack thereof. View the article HERE. 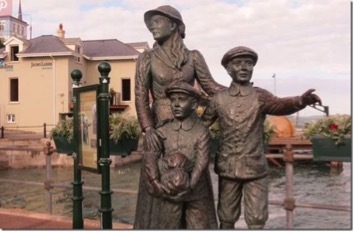 Mike and wife Pat visited this statue of Annie Moore, the first to arrive at Ellis Island with her two brothers while in Cobh (pronounced “Cove”), County Cork, Ireland. Mike’s grandmother left for America from this same port in the 1890’s. 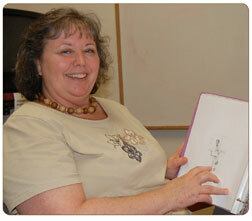 SGS President Mike Allen will be teaching an Advanced Genealogy Class at Lane Community College. If you have roadblocks or just want to delve deeper into your family tree, this is the class for you. Class starts Feb. 25th. Click HERE for more details. The February 20th SGS meeting features a program on resources at the Library of Congress by Kevin Mittge. 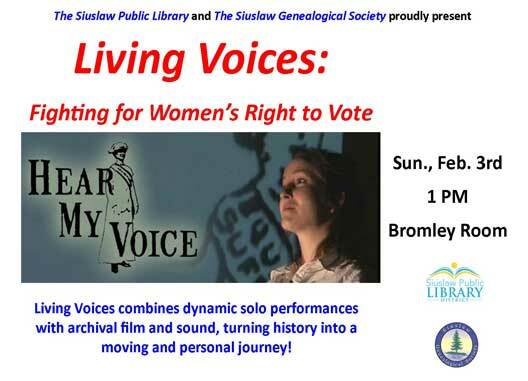 The Hear My Voice performance by Rachel Atkins of Living Voices was a remarkable enactment of the 72-year struggle for women’s suffrage. The dramatic portrayal brought the historical events to life. Merilee Mulvey shares a post from Billiongraves.com on the meaning of 20 symbols often seen on headstones. Read the post HERE. An article in the LA Times describes a 31 year old case where investigators worked with members of The DNA Doe Project, a forensic genealogy organization to obtain a victim’s identification. Using Gedmatch.com, they were able to discover enough matches to the victim’s grandparents to finally make an identification. Great article, read it HERE. Member Judy Thibault shares a post from the Boredpanda site of someone who bought 6 test kits for his family for Christmas, and ‘it turned their lives upside down’. Read the article HERE. This month’s SGS meeting focuses on ‘Breaking Down Brickwalls’. Three members will bring information on an elusive ancestor. Participants will break into groups to review the evidence and brainstorm ideas for solving the mystery. This will be the group’s first experiment in working as a team to assist other members. You are encouraged to bring a laptop, IPad or similar device for online researching. 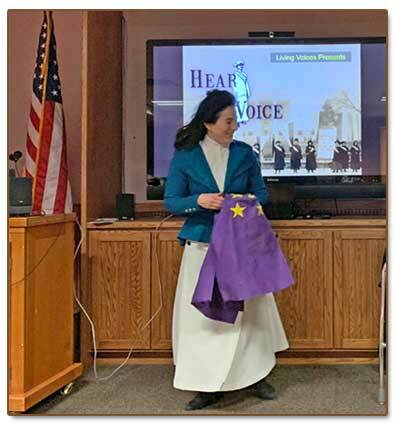 January 16 at 7:00 p.m.
Mary was a wonderful friend, co-worker, artist, and genealogist, who gave her time and heart to the library and many local organizations, including the Siuslaw Genealogical Society, for many years. We will all miss her so much.